Dr. Vanessa DiCicco, ND is a registered Doctor of Naturopathic Medicine. She trained at the accredited Canadian College of Naturopathic Medicine in Toronto, Ontario and graduated in May of 2006. 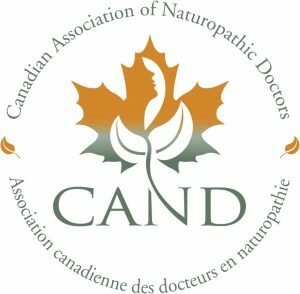 She holds her license in the regulated province of Saskatchewan and with the federal association, the Canadian Association of Naturopathic Doctors (CAND). Vanessa’s passion for healthy living and a love for connecting with people led her towards a career as a naturopathic doctor. She enjoys a broad naturopathic practice emphasizing family medicine including women’s health issues, pediatric care, fertility counseling, perinatal care, digestive disorders and stress syndromes. Vanessa’s compassionate and gentle approach to helping people feel better is fundamental to the care she provides to her patients. Vanessa draws from an eclectic knowledge of naturopathic modalities to tailor to the specific needs of each individual patient. Her treatment modalities range from nutritional counseling, homeopathic medicine, botanical medicine, traditional Chinese medicine, clinical nutrition, lifestyle counseling and Bowen Therapy – She utilizes a unique bio-energetic assessment technique to help identify underlying causes of disease and to select the gentlest and most effective remedies when treating her patients. She runs her practice in Regina and her office at 2706 13th Avenue in Cathedral neighbourhood. Vanessa treats her patients holistically emphasizing the need to examine the totality of the person – their body, mind, emotions and spirit. As a mum herself, she treats patients of all ages, including infants and young children.